We Buy Houses Clovis Ca! We understand that your life is busy. If you need to sell your house fast but you simply do not have the resources to make it possible, it might be frustrating. Just think of how much TIME it will require you to complete the whole house selling process. You can avoid the stress by selling your house to us! We will take over all the work while you move on with your life, we will handle every step and we will make selling your house fast and easy. Avoiding foreclosure? Facing divorce? Moving? Upside down in your mortgage? It doesn’t matter whether you live in it, you are renting it out, it’s vacant, or not even habitable. We help owners who have inherited an unwanted property, own a vacant house, are behind on payments, owe liens, downsized and can’t sell… even if the house needs repairs that you can’t pay for and yes, even if the house is fire damaged or has bad rental tenants. We are professional home buyers in Fresno, CA and the Central Valley area. We do not want to list your house, we want to buy it! You don’t have to pay us a commission or any other closing costs or fees; we have the resources, knowledge and experience to buy your house fast. Buying houses is what we do best. CentralValleyHouseBuyers.com provides win-win solutions to help homeowners get out of their sticky situations, like foreclosure, owning a burdensome property, probate, or anything else. Selling a property can be stressful. We are here to help you and make it a fast and fair experience, and to give you the peace of mind you are looking for but can’t fully enjoy until that pesky house payment is off your back. We buy houses Clovis, CA! All cash, as-is – no matter the condition – circumstances – location – or time frame! So, you do not need to worry about spending thousands of dollars for repairs. No tremendous paper works to sign. No need to wait for months to get your Clovis house sold. We will buy your house and pay you cash! At CentralValleyHouseBuyers.com, we can provide you an All-Cash, as-is offer in 24 hours or less. Either you accept it, shop it around, talk it over, or think about it, the decision is yours. No obligation. We can buy your Central Valley house. Contact us today! We’ll know very quickly if we can help you, and unlike selling through an agent, you don’t have to wait to see if the buyer can get financing… we are ready to buy right now! Need to Sell Your House in CA? We Buy Houses! We help property owners just like you, in all kinds of situations. From divorce, foreclosure, death of a family member, burdensome rental property, and all kinds of other situations. We buy houses Clovis Ca, Fresno, Hanford, Sanger, and all throughout the Central Valley and pay fair cash price, fast. Sometimes, those who own a property simply have lives that they are too busy to take the time to do all things that need to be done to prepare a house to sell on the market…If that describes you, just let us know about the property you’d like to get rid of and get a fair, all-cash offer for your house today. 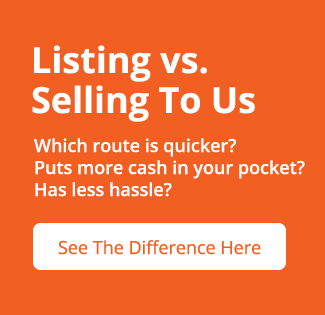 If you simply don’t want to put up with the hassle of owning that house any longer, and if you don’t want to put up with the hassle and time-consuming expense of selling your property the traditional way, let us know about the property you would like to get rid of and sell your house fast for cash. Talk to us or submit your property information below! (559) 578-3200.